What’s it like to work in a restaurant kitchen? That question can be answered with Sotto Sopra Restaurant’s Chef-for-the-Day Program. If Owner/Executive Chef Riccardo Bosio of Sotto Sopra has been asked once, he has been asked a hundred times about life in a restaurant kitchen by clientele, many of whom are talented home cooks. Proof of this fascination can be found in the success of television’s reality kitchen programming: Top Chef, Hell’s Kitchen and The Food Network’s Chopped. Chef Bosio has brought back his own chef reality program at Sotto Sopra Restaurant with Chef-for-the-Day allowing a patron to come work in the restaurant kitchen for a full day. Chef-for-the-Day starts early, is expected to be on their feet all day, maneuver narrow stairwells, work through evening service and will wrap their day in the kitchen with dinner. www.sottosoprainc.com Chef-for-the-Day participants are required to sign a liability release form before working in the kitchen. Kathy Patterson (aka The Minx) is not only a Baltimore food writer, she holds a degree from MICA (Maryland Institute College of Art). This Baltimorean has combined her passion for food and artistic prowess to come up with a fun clothing and accessories line focused on food. 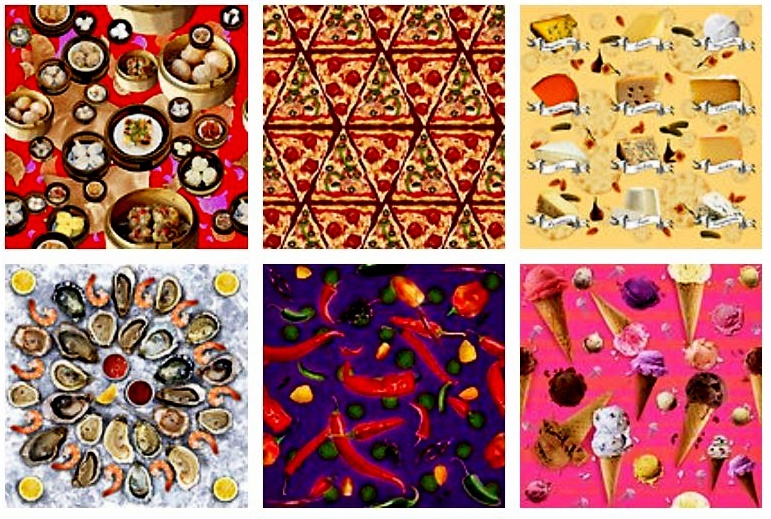 Her patterns range from scarves with dim sum, leggings with chili peppers, T-shirt dresses with steamed crabs or her latest pattern, holiday pudding for totes and travel mugs. You can find all her products at Redbubble. Most of Kathy’s patterns are available on her numerous products. Baltimore expatriates, locals and the food focused can enjoy her unique designs in wearables as well as smart phone covers, posters, duvet covers, laptop skins and much more. Recipes are categorized: Small, Little, Big, Brunch, Dessert, Cooking for the Community, Batch (i.e. like their pretzels) and Drinks. 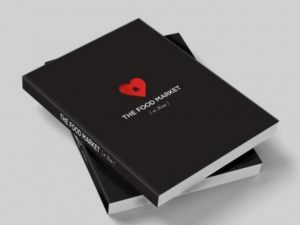 Pick up the cookbook at The Food Market, La Food Marketa, Trove, and Beckett & Hitch or order online with a $15 shipping fee. This is not available at Amazon or other booksellers at this time.